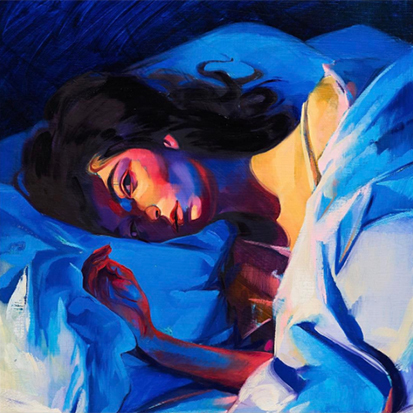 Lorde unveils the cover of sophomore LP, 'Melodrama' and new single "Green Light." The buzz around Aldous Harding continues to grow with glowing reviews at SXSW and lavish praise from Lorde. “This song blows my head off — soft flurry of gut punches,” the “Green Light” singer tweeted last night in reference to “Imagining My Man.” She then summed up the song’s appeal. “I think Aldous is the most interesting musician around… these sharp surprising moments of upper register and shouting applied perfectly and just enough.” And it’s hard to fault that assessment. Few songs manage to be as unsettling and moving as this. So, who is this newcomer? Well, Aldous first made waves in Australia and New Zealand with her self-titled debut album in 2015. The follow-up should find a much wider audience, however. Produced by John Parish, Party (due May 19 via 4AD) promises to be as dark, gloomy and dramatic as her debut, albeit on a much grander scale. At least, that’s the impression I get from “Imagining My Man” and “Horizon.” Watch the video of the former, which finds the Kiwi riding around Auckland, up top and see Lorde’s tweets below. Does Aldous live up to the hype? Let us know below, or by hitting us up on Facebook and Twitter!